I had some work up in the Bay area yesterday, which was lucky since most of Los Angeles is covered with smoke from an incredibly big fire. 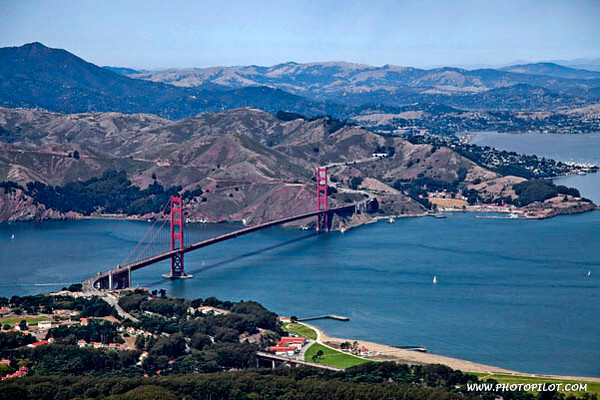 While over San Francisco I took many pictures of the city including this one looking out at the Golden Gate Bridge. 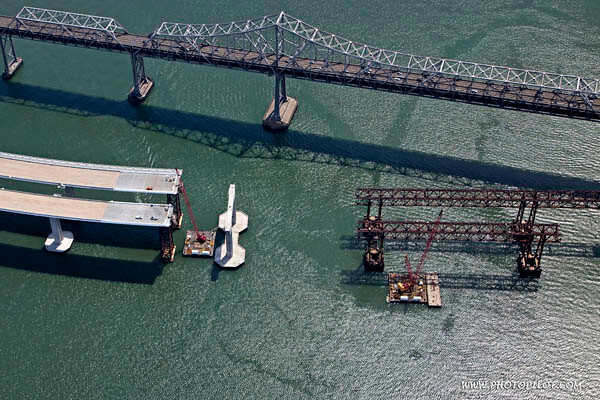 The other picture is interesting as it shows what is involved in building a bridge.